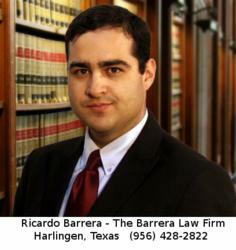 The Barrera Law Firm, based in Harlingen, TX, is assisting Texas children who were born with birth defects allegedly due to mothers taking an antidepressant such as Paxil, Zoloft, Lexapro, Wellbutrin, Prozac, Effexor and Celexa during pregnancy. These drugs, usually called SSRIs, have been commonly prescribed to pregnant women and are associated with causing various birth defects in new born children. The most common defects are heart, lung or cranial defects, cleft lip or palate and club foot. "It is sometimes difficult for qualified individuals to come forward, but they may be entitled to compensation to offset the costly past and future expenses which can be associated with cases like these,” said Barrera. "The companies involved need to be sent a strong message that their careless and dangerous products will not be tolerated,” he concluded.